New one level living in this nice La Center community, Heritage Country Estates! Home construction by award winning builder and is move-in ready! Nice 3 bedroom plan with 1913 SF, and 2-car garage. Home features A/C, custom cabinets, stainless steel appliances, slab kitchen countertops, wood wrapped windows, gas fireplace and much more. Other plans and lots available to build and pick finishes. BUILDER’S MODEL AT 401 E SPRUCE AVE, La Center. Sat/Sun 12-5. 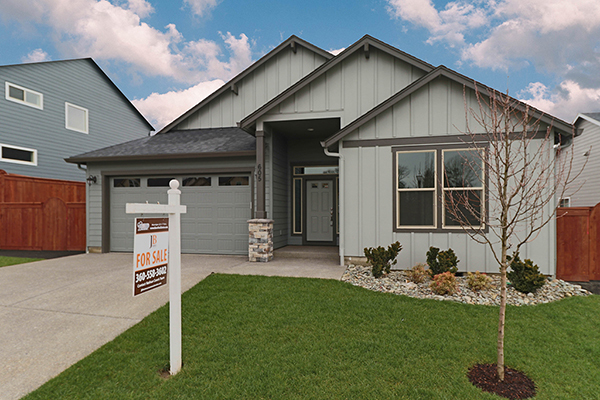 Call Nathan Cano’s team at (360) 823-3333 or contact us today to see this beautiful one level home by award winning builder, JB Homes.